Tasks serve as reminders, prompting you to reconnect with Contacts after meetings or email exchanges, or to perform specific actions, such as sending a contract to a client. People in your company can manually create and assign tasks to themselves or others in the company. SalesforceIQ also suggests tasks for you based on your interactions with your leads, opportunities, etc, as well as your colleagues—for example, if your boss sends you an email and you haven't yet replied . Both assigned and suggested tasks appear on your Home screen. Note: You have multiple options for replying to and working with tasks you receive. 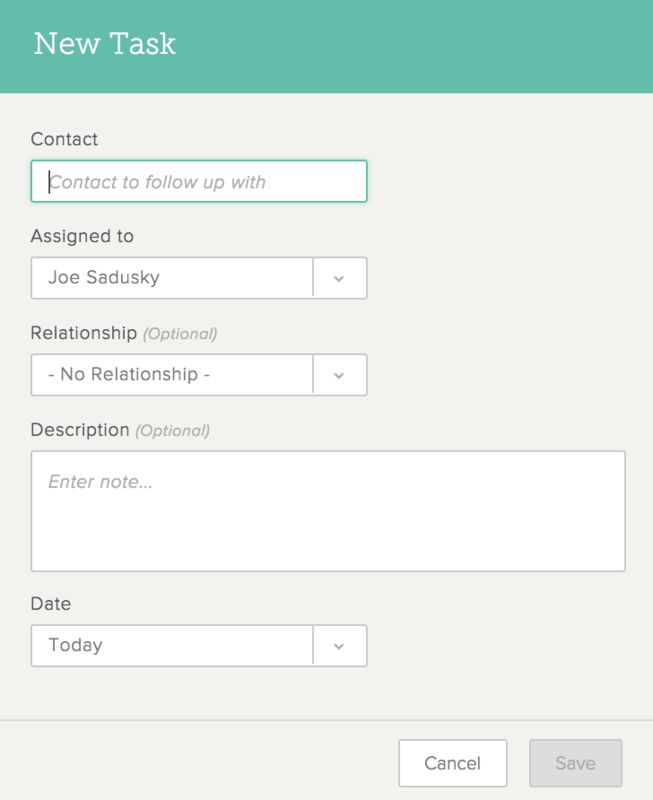 To keep things simple, you can assign tasks to one Contact at a time only. To follow up with multiple points of Contact within an Account, create individual tasks for each Contact. You can create a task from the Home screen, the Stream view, or the Contact Gallery. On the Home screen, click New Task. The Contact with whom you want to follow up. The person to whom the task is assigned. (Optional) The relationship associated with this task. (Optional) A description of the task. Open the Stream and search for the Contact or Account for which you want to follow up. On the right side of the screen, click . On the screen that appears, select the time period for the task, the person to follow up with, and the person to assign the task to on your team. You can also add more details in a note. Click Save. Note: A note you enter in a task is specific to that task and doesn't appear in the Stream. 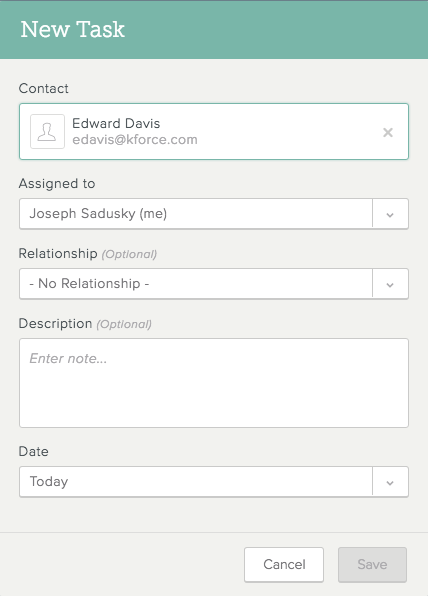 This is different from a note you add for a Contact on the Contact profile screen, which is attached to that person and allows your team to stay in sync on information that remains consistent independent of the List or process you are managing. It is also different from a comment, which you add to a Stream event to share updates with your team in real time. 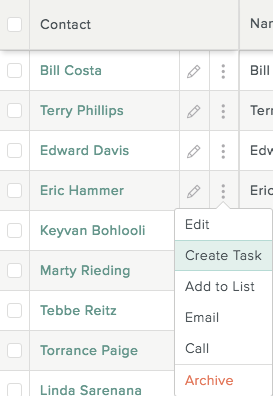 To the right of the contact name, click and select Create Task. Enter the task details and click Save. When other people complete tasks you assign, you receive an email notification. 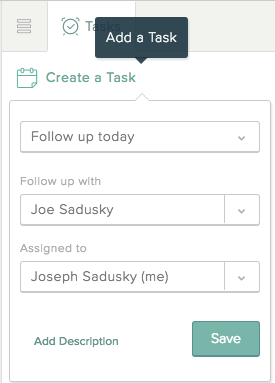 Tasks you assign also appear in the Stream after your colleague marks them as complete.